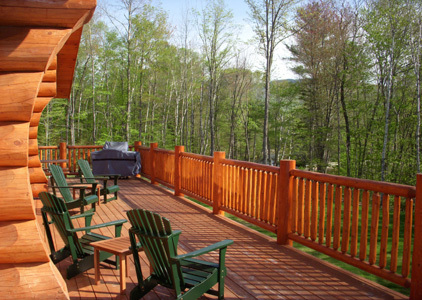 There’s nothing more appealing than a log cabin…and there are solid reasons why! How many of these Log Cabin Facts did you already know? Log walls are superb sound barriers. You’ll sleep soundly no matter what your noisy neighbours are up to. On the other hand, if you’re entertaining late into the night, you won’t have to worry about disturbing the early-birds next door. Because of the way log walls absorb sound, the acoustics in a log cabin home are incredible–you won’t get cavernous echoes even in large rooms and music sounds better than you thought possible! Log walls hold no secrets. Frame walls can hide nasty things that you can’t see from the outside, like mold. Any issues with log walls can be spotted at a glance. If your home flooded, for instance, the moisture would be evident on the surface and could be remediated immediately. More things you’ll like about solid log walls. You adore that weathered wood look of pioneer log homes but your property didn’t come with a log cabin. No problem! A custom log cabin built using traditional hand crafted building techniques can be finished with a protective stain that gives you the heritage look you love! And you’ll appreciate the advantages of a log cabin plan designed for the way you live with any modern conveniences you need. A log cabin is a practical choice for off-grid living, but the fine quality of a handcrafted log home makes it popular with luxury-lovers too. As simple as you want or as luxurious as you like, a log cabin makes the perfect dream home for every taste and budget! Some log cabin plan ideas to get you started: Remember you can modify any plan to suit your lifestyle! You might not be able to build a log cabin in the woods, but you can enjoy the naturally calming influence that natural elements like bring into your home. There’s real science behind that sense of relaxation you feel inside a log cabin: you don’t have to understand it to experience it. And you can create this kind of natural wood haven anywhere you like! Sound crazy? It’s not. Read more. A well-built log home can be around for a few hundred years. Some people are tired of a flimsy disposable world and remember a time when things were built to last. Building a home can be the biggest investment of your life. Building a log cabin home means you’re leaving a legacy. Read: Your Home is Your Castle. Build it to Last! Your dreams, our craftsmanship. 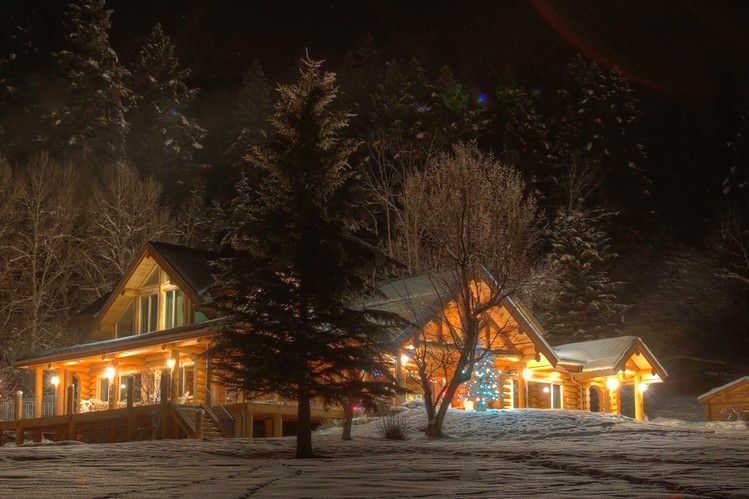 North American Log Crafters … 40 years of pride in every log cabin home!